Michaël Privot, Director of the European Network Against Racism (ENAR), received a death threat following his participation in a live web-chat on freedom of expression, organised by Belgian weekly magazine Le Vif/L’Express on 28 February 2012. The threat against ENAR’s director was posted anonymously on the magazine’s webpage. He has lodged a complaint today for incitement to racial hatred and violence, in Brussels. The European Network Against Racism is very concerned by this manifestation of racial hatred and violence. The proliferation of hate speech on internet platforms makes clear the need for systematic and preventative measures. In light of this threat, the Irish Network Against Racism (ENAR Ireland) reiterates its call on the Irish Government to reform the criminal law to deal with racist crime, including incitement against hatred. The UN is among those who have criticised Ireland’s response to racist incidents. In March last year the UN Committee on the Elimination of all Forms of Racial Discrimination (CERD) noted that the review of the Incitement to Hatred Act 1989 had stalled. It also recommended that the racist motivation be consistently taken into account as an aggravating factor in sentencing practice for criminal offences. It is worrying to note that this incident is the latest in a series of threats directed at representatives of ENAR member organisations in several countries (including Doros Polykarpou from the organisation KISA in Cyprus, Jallow Momodou from the National Afro-Swedish Association in Sweden, and Andreas Hieronymus from the Institut for Migrations- und Rassismusforschung in Germany), not to mention the numerous individuals across Europe who face racist violence (whether verbal or physical) on a daily basis. 1. The European Network Against Racism (ENAR) is a network of more than 700 NGOs working to combat racism in all EU member states. ENAR aims to fight racism, racial discrimination, xenophobia and related intolerance, and to promote equality of treatment between EU citizens and third country nationals. 3. The Irish Network Against Racism is the National Coordination for the ENAR in Ireland. See www.enarireland.org for more information. 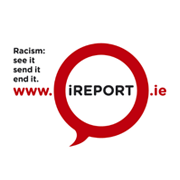 The Irish Network Against Racism shall launch its annual State of Nation Report and the European Shadow Report on Racism during the European Week Against Racism (17-25 March).